Football Kenya Federation has today, Thursday, March 15, 2018, issued grants to all clubs taking part in the FKF Women Premier League in an effort aimed at fostering women football development. The function, which is part of the FIFA Forward Football Development Program, was presided over by FKF President Nick Mwendwa, Deputy President Doris Petra and FKF General Secretary/CEO Robert Muthomi at FKF House, Goal Project. “We are offering all WPL clubs a grant of Ksh 750,000 each, the first in the history of the sport. Further, the federation will continue to pay all match management costs that include hire of venue, security, ambulance services and referees,” said FKF President Nick Mwendwa. “We will continue engaging corporates to further support the league as we call on all WPL clubs, who are our members to take a leading role in building the brand,” added Mr. Mwendwa. 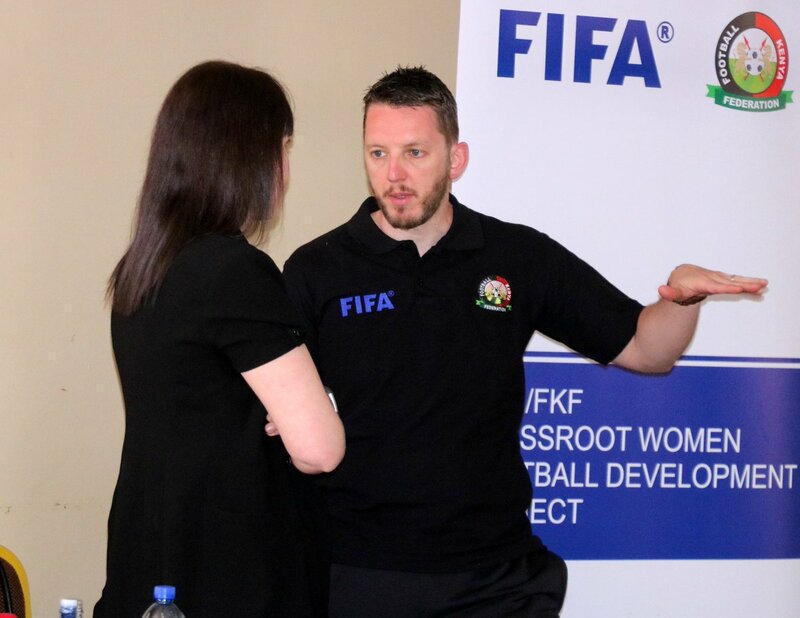 The grant was warmly received by the WPL Club officials, with Makolanders official George Williams thanking the Federation for the first of a kind initiative, while also noting that it will go a long way in improving the women’s game. “Transport and Accommodation costs have been a challenge for us in the past. We thank FKF for chipping in,” said Williams. “The grants will not only ease our running costs but will also go a long way in improving the quality of the Women League,” he added. The Women Premier League was reintroduced in 2016, in an effort aimed at according players a chance to showcase their talent both at the grass-roots, national and international level. Since then, great strides have been made in the development of Women football. The National Women team, Harambee Starlets, in 2016, qualified for the Africa Women Cup of Nations in Cameroon. The team had earlier managed a runner-up finish in the 2016 CECAFA Women Challenge Cup. FKF has also strived to ensure that Women are accorded an opportunity to develop at different age groups, through the Chapa Dimba na Safaricom Youth Tournament as well as the National U20 Football team. The Federation has also adopted the FIFA policy on women for women and in so doing, has appointed women in football leadership positions. This year, FKF has adopted a unified Women Premier League, which will see the top three teams at the end of the season receive Prize Money. A women Cup competition, set to be contested by all WPL and Women Division One Clubs, is also in the offing.